After recent travel to New Zealand, Japan, Thailand, and much of Europe it seemed appropriate to feature a production for FedEx, a brand that certainly spans the globe. To see a Frank Gehry building is nothing short of extraordinary; it's an eye catching moment of curving stainless steel splendor. 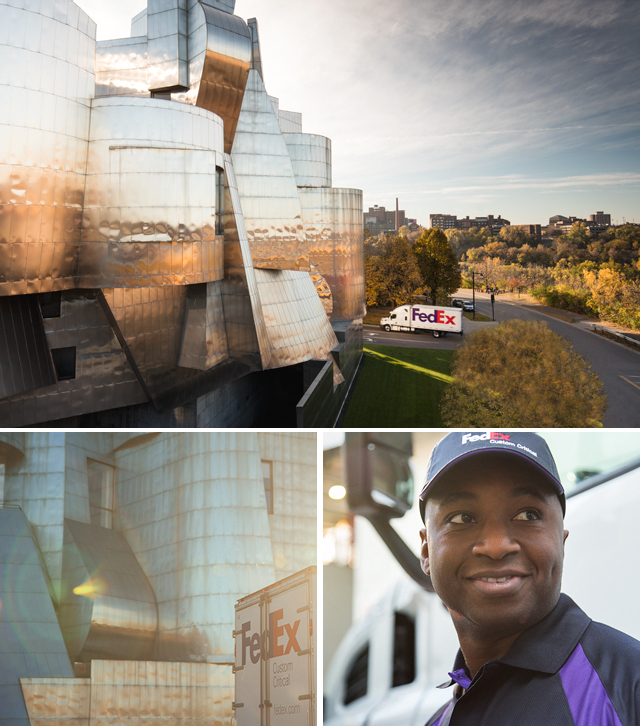 The Weisman Art Museum played just the role, offering a perfect backdrop to our shoot for FedEx. Shots from above, below and all around provided the elements to tell the story of the "Custom Critical" service branch of FedEx. When a crucial piece of art or any other invaluable object needs transit to another location, FedEx has the means to get it there on time, every time without fail. The shoot encompassed so many aspects of the delivery process and we were able to take advantage of beautiful morning light with the unique shapes of the Gehry architecture standing tall in the background. It's great to be back in the saddle after my "Family Sabbatical" adventure abroad these past four months. There is nothing like time away to refuel and inspire. While difficult to pull away from the business and comforts of home, I am thankful to have had the opportunity as well as foresight to step away and celebrate the fruits of past work in such a personal way. To say that my family and I came away with a life time of shared memories and experiences is an understatement. I look forward to sharing imagery and stories in coming days on the site and blog. While away I was contacted by a Los Angeles based producer with questions around our process and approach when working in the realm of Stills & Motion. It could not have been a more relevant inquiry as is seeing a continual trend towards the mixing of mediums on nearly all of our productions. This conversation led to an invite to speak in Chicago last week at the Visual Connections conference; an event centered around "connecting buyers with suppliers of visual media." Realizing this was a unique opportunity, I was of course excited to take part and share the updated JCP Directors Reel as well as the Still & Motion montage below. The talk provided an opportunity to share insight into what we do as well as hear thoughts on how the industry continues to evolve. Feedback was very positive and the energy at the event could not have been more encouraging as far as what we are up to and how the industry continues to evolve. Enjoy the edits and here's to keeping pace and staying inspired. Excited to be partnering with New York based Cavan Images, our first official foray into the stock image market. 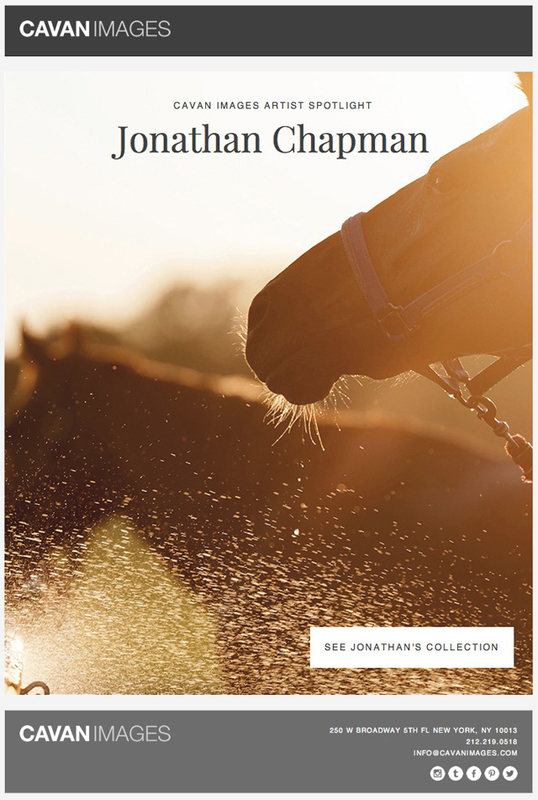 They have a solid vision as far as brand, promotion, and marketing and it's pretty sweet to see the range of JCP images being picked up for various campaigns. A small collection of the JCP library is featured as part of their most recent "Artist Spotlight."